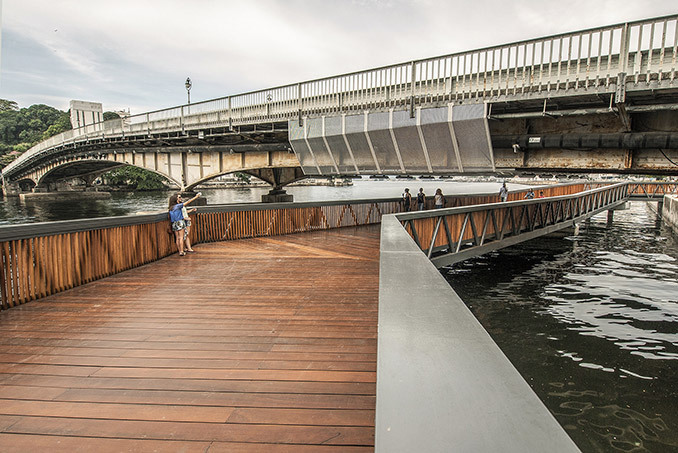 The demolition of the raised viaduct is defined as one of the main interventions carried out within the site of Porto Maravilha. 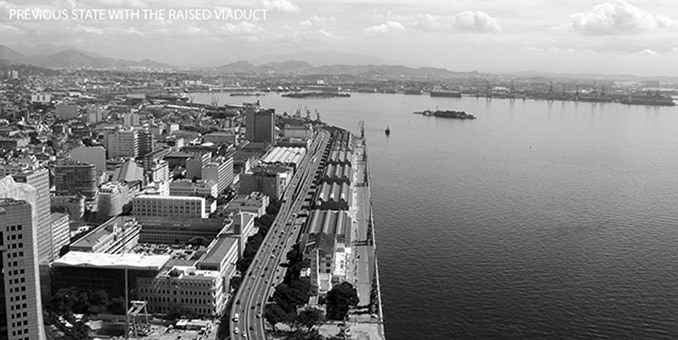 Built in the 60’s, the viaduct ripped patterns and had a negative impact on the port region’s landscape, breaking its proximity with the Baía de Guanabara (a bay). 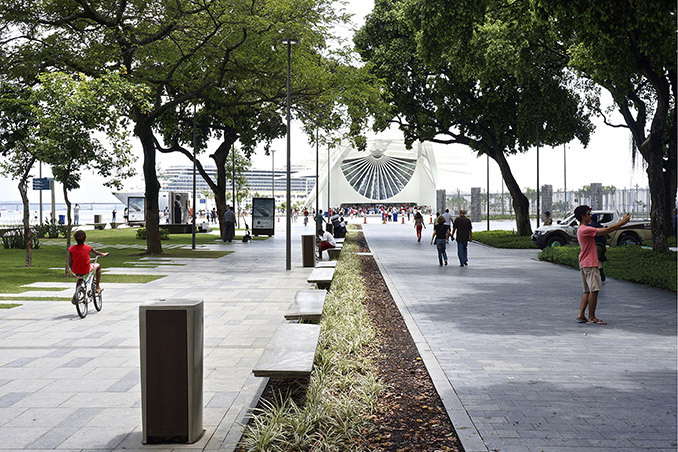 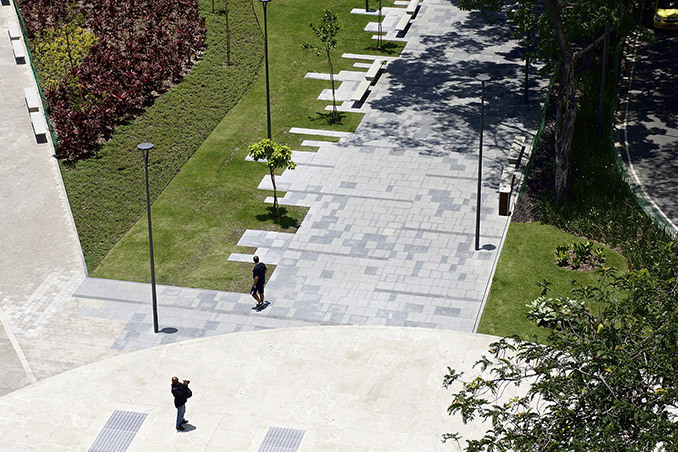 This removal, along the year 2014, gives back landscapes and forgotten places to the city of Rio, even sometimes unknown, and returns to the city and pedestrians a large area along the Baia de Guanabara’s waterfront, creating enormous possibilities of urban restructuration and landscape revaluation. 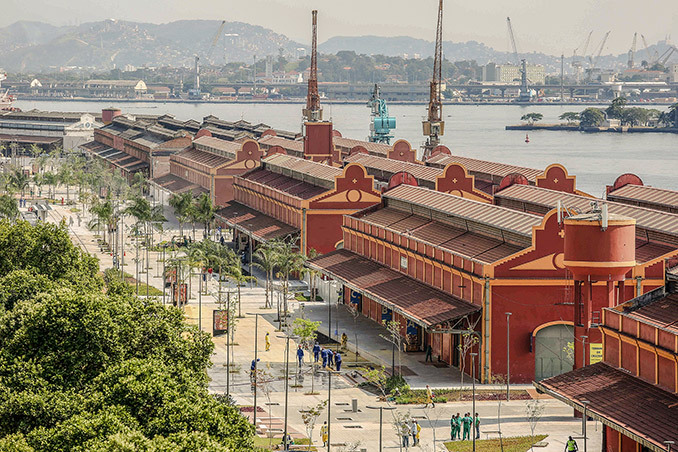 Seen in the last 50 years as a deteriorated, industrial and abandoned area, a “non-place”, the approximate 250.000 m2 of the Orla Conde are not only a fundamental piece for the renewal and revitalisation of the port area, but also of the centre of the city. 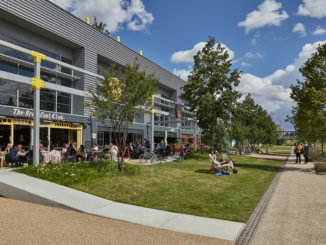 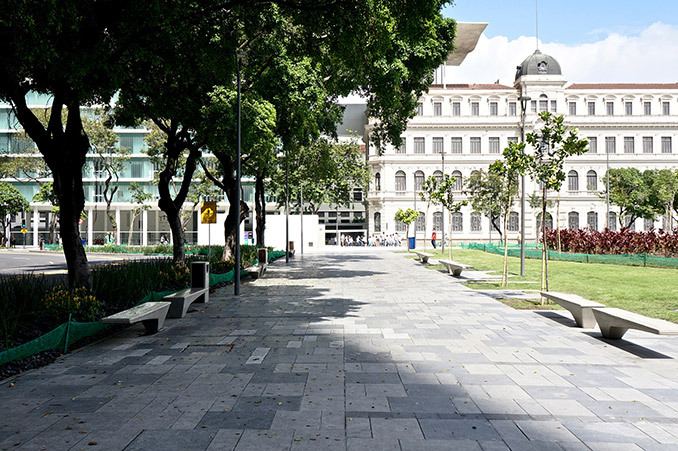 Focusing on the citizen/pedestrian, the Orla Conde stablishes a change of paradigm, leaving behind a city that prioritized the car over pedestrians. 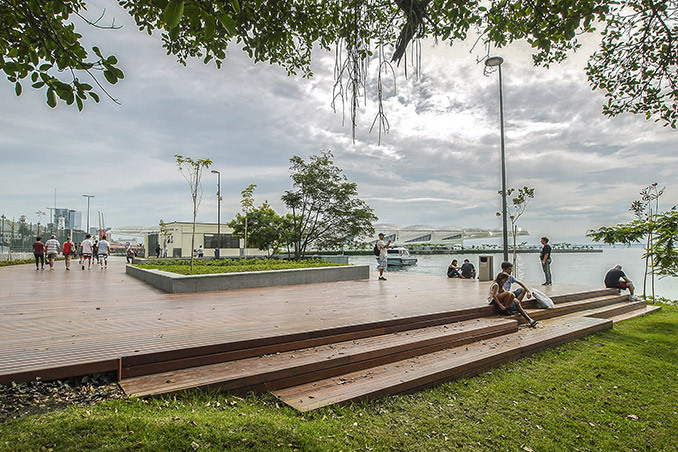 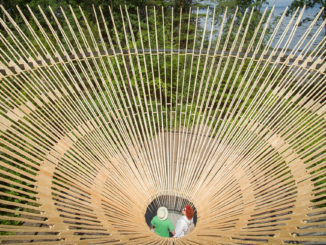 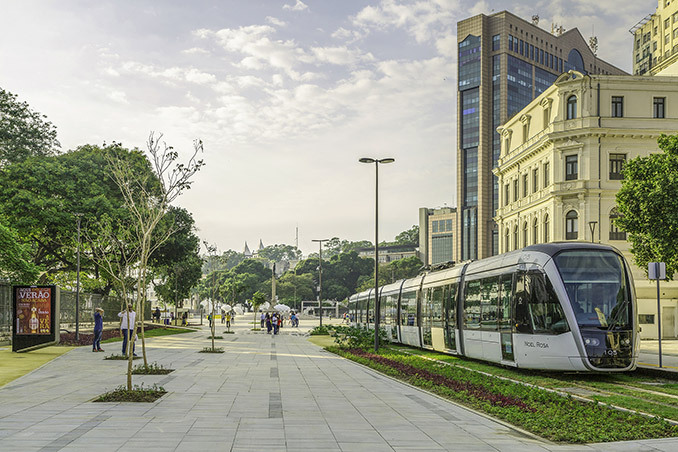 The project allows a pacific and organized coexistence of different means of transport (VLT-tram, bicycles, vehicles and alternative transportations), generates resting and playing areas, unveils historic buildings and views and landscapes to the bay. 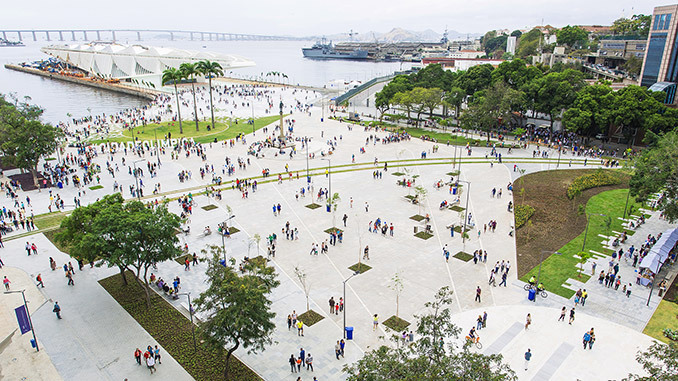 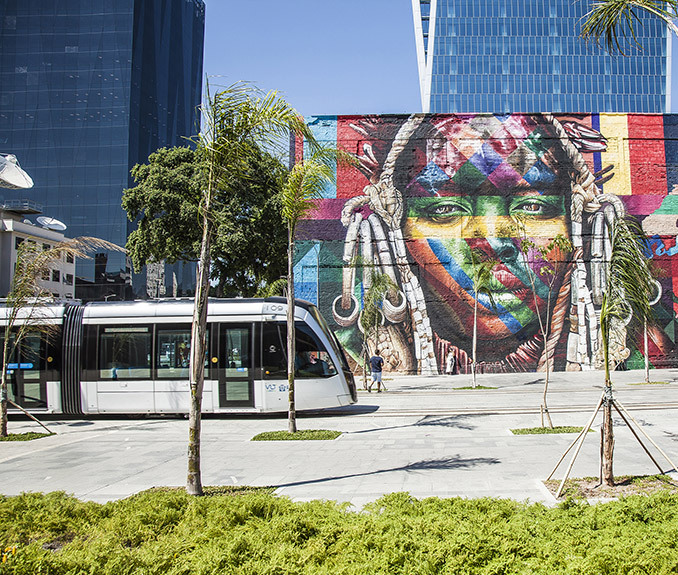 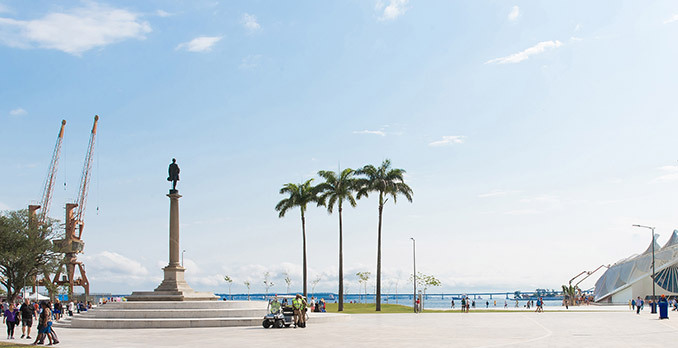 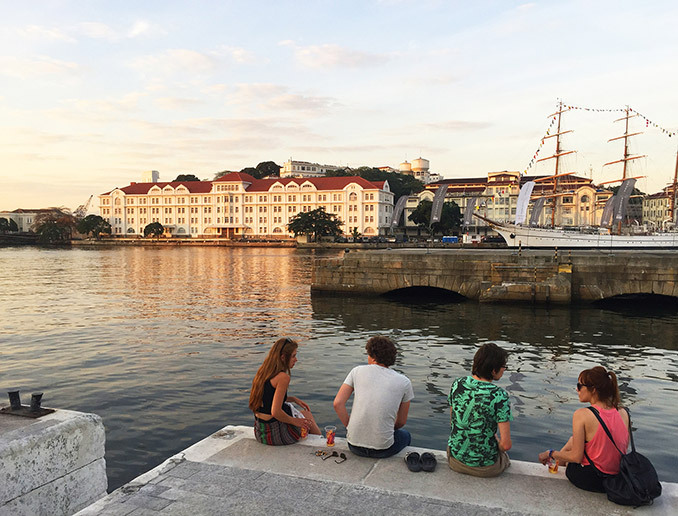 It attempts to recover the integration of the built city with the Baía de Guanabara, in addition to giving support to future activities and new functions which will have to emerge in the revitalized centre and the Porto Maravilha region. 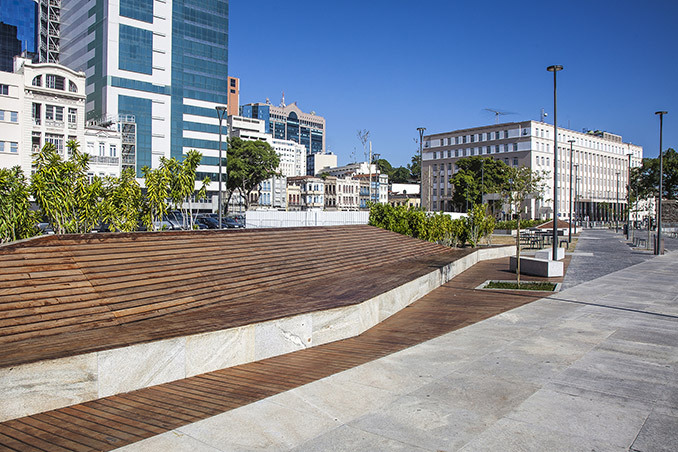 Promoting accessibility is not only guaranteeing access or universal movement; more than this, it enables the living and coexistence in the public space. 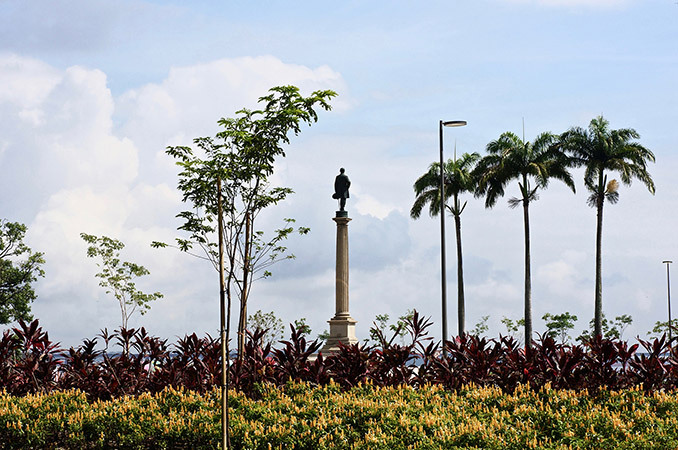 It is about ensuring the universal right of coming and going, and the free expression of public life. 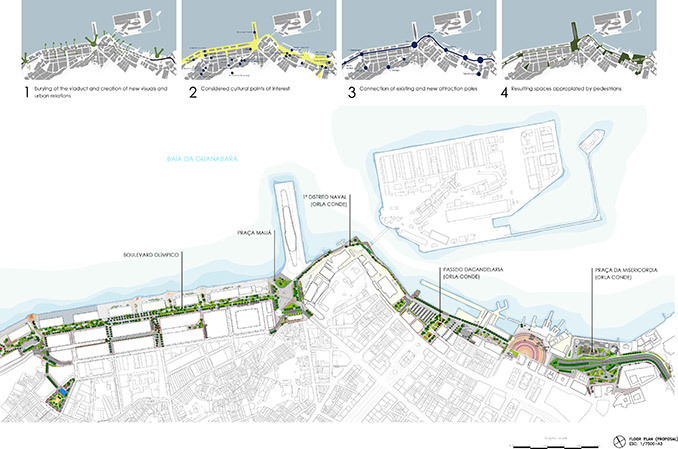 The interventions proposed generate a public urban space with enormous capacity to be the structuring element of this port region. 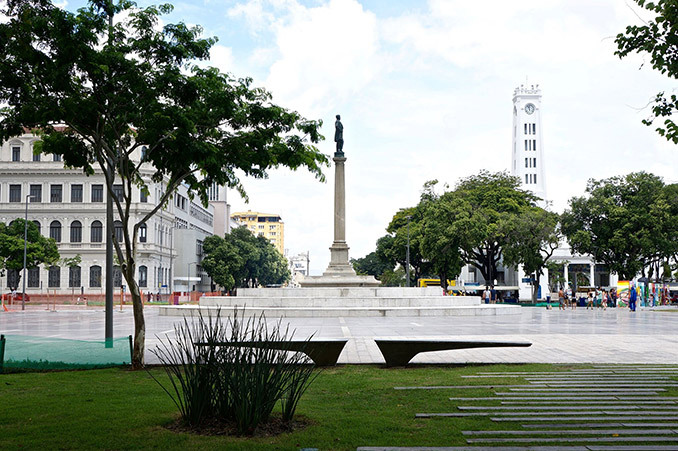 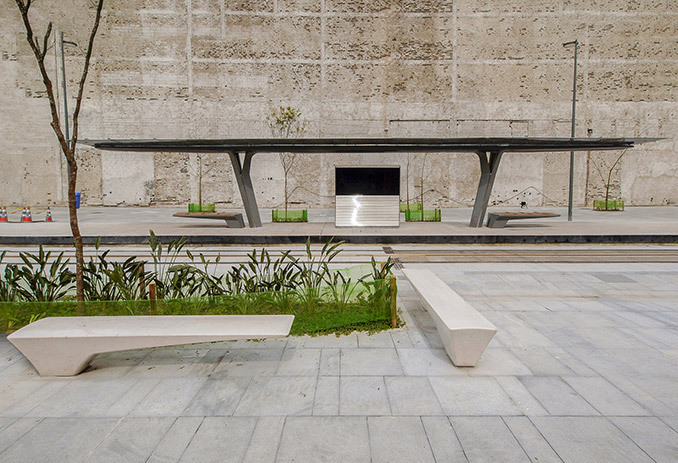 It is also within the public space where the social, cultural and politics occur. 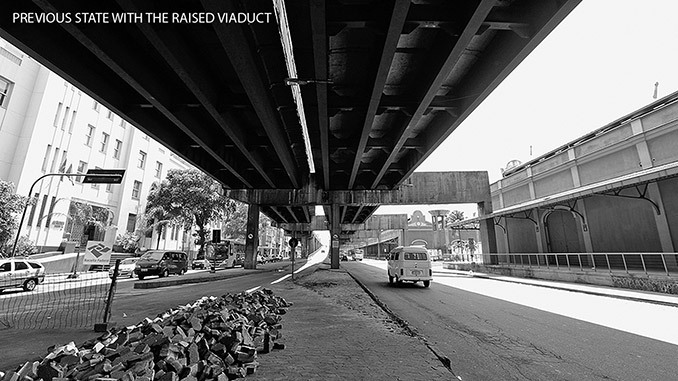 The idea is having the process of urban renovation bring life back to the area. 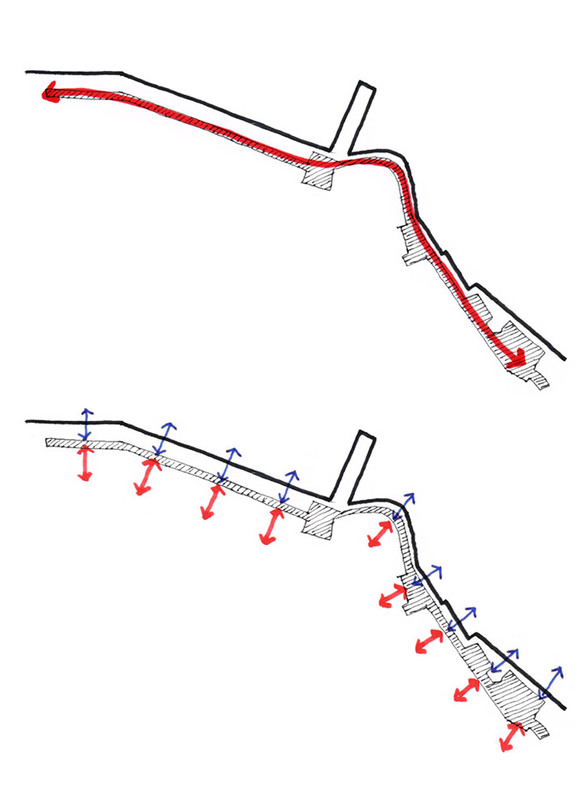 Probably, the main factor that turns a region into a unique part of the city is its physic and visible singularity. 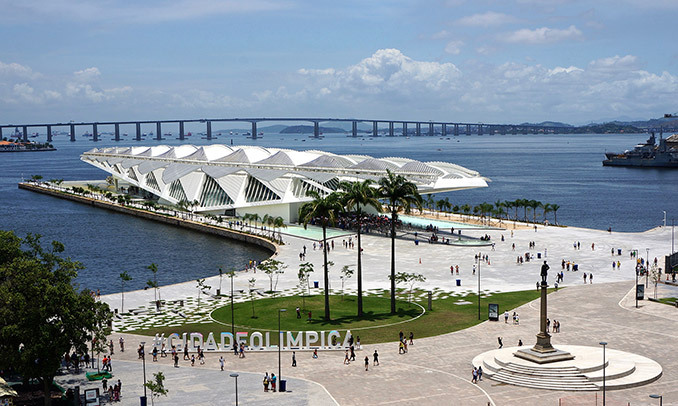 That was the case, negatively, of the port region. 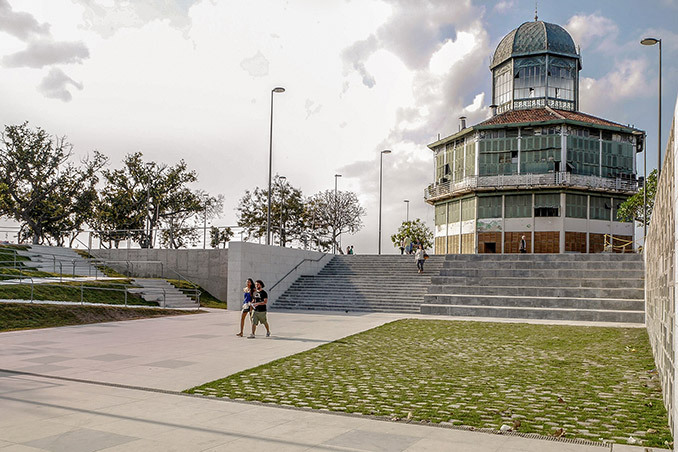 This project seeks to give visibility and value historic or new buildings such as the Casa França-Brasil, the MAR or the Museu do Amanhã; to rescue memories such as the Antiguo Mercado in Praça XV, but mainly, to give visibility and promote a new relation of the city with the bay by means of a direct contact with the waterfront and its new urban visuals.